Well, it's almost upon us once again....time to pull out all the stops to show your Dad or the father figure in your life how much they mean to you! Here's what impressed most on the market this year! Clothing can be difficult when it comes to getting sizes right, but footwear is always easier! With summer on the way, a good pair of sandals can be an ideal choice...after all, not too many men enjoy shopping for sandals and I often find that Jon needs a push to step out of his winter boots and bare his toes for the sunny weather! 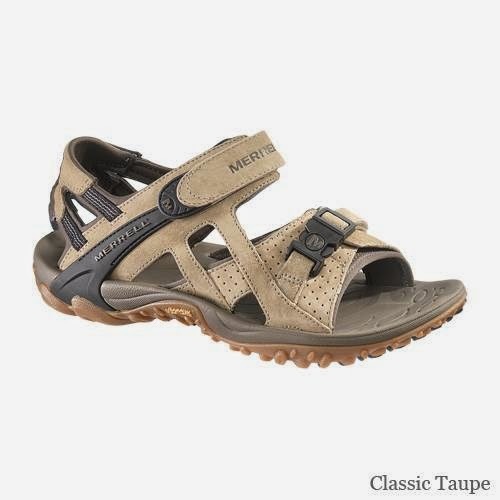 These Merrell sandals from from www.e-outdoor.co.uk would be right up his street. For the sports fanatics out there, there are some great options available. 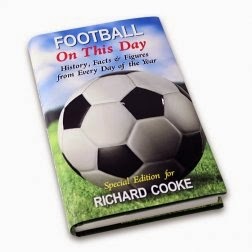 If Football is Dad's game of choice, this great personalised book is an ideal choice....offering detailed breakdowns of what happened in the history of the game on each day of the year. If Golf is more his thing, you really can't go wrong with a personalised golf ball. 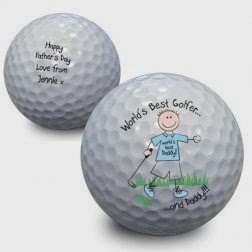 A fun keepsake and pretty useful if Dad's a keen golfer too. And for the bargain price of just £4.95 from www.shedloadofgifts.co.uk I think you'd be hard pushed to find a better gift for the price! 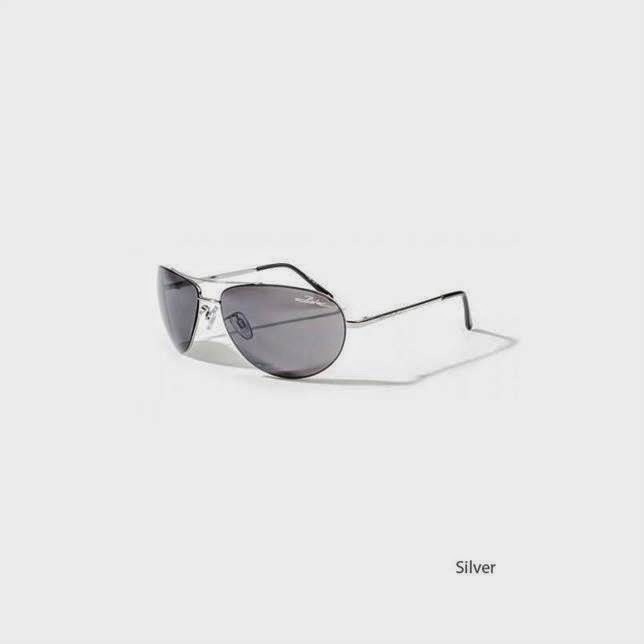 Going down the style route again, Jon is a big lover of sunglasses and I know he would really appreciate a new pair. What Dad (or ANY person, for that matter!) 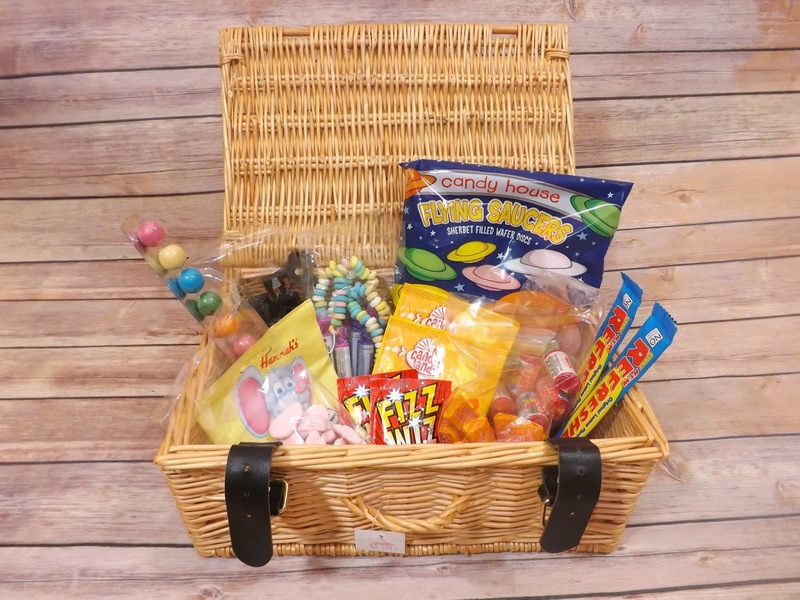 wouldn't love opening this quaint looking wicker basket to reveal a hamper full of sweets?! 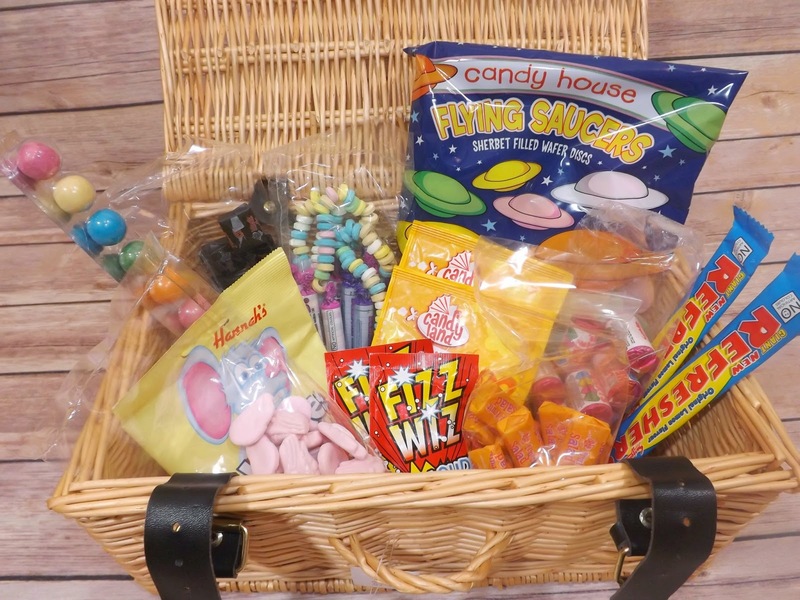 Chocolate mice, refresher bars, fizz whiz, sherbert dip dabs, fruit salads, black jacks, parma violets, love hearts, flying saucers, bubblegum strips and more! This really does make the perfect for any man with a sweet tooth this Fathers Day! This gorgeous Family photo frame is a perfect sentimental gift to fill with your favourite photographs and memories. The weathered rustic looking white paint finish is perfect for brightening up any room, and spending time deciding which special photos to include gives the gift a real personal touch. This would work well as a gift for a Dad to include a photo of Mum, Dad and Child as we have done....or perhaps a gift for a Grandfather containing photos of all of his grandchildren. No matter you choose, the frame is the perfect way to display those precious photos. But that doesn't mean you need to stick to the same old drugstore bought brands! The Bluebeards Revenge products were created by a real life "Blue Beard" (Apparently a blue beard is a man who has to shave twice a day!) to give men real manly products which help to reduce regrowth and soothe skin, are paraben free....and lets face it....look pretty cool!! Jon has been testing out the products over the last few weeks and is very impressed! I can see a noticeable difference in the smoothness of his skin, and he smells pretty good too! Now a lot of Dads like nothing better than a good bit of their favourite tipple for Fathers Day....this is the category my own Dad falls into! Every year he requests the same thing for Fathers Day....and for his birthday....and for Christmas. All he ever asks for is a bottle of whiskey! Its not that he has a drinking problem or anything! He just literally is the worlds most difficult person to buy for...he has no hobbies, he doesnt collect anything, he doesnt like chocolates, he doesn't like sports, he doesn't like grooming products or clothes....so rather than have us wasting money on gifts that he'll look at once and stick in a cupboard, he likes to get something he knows he'll enjoy...and thats whiskey! 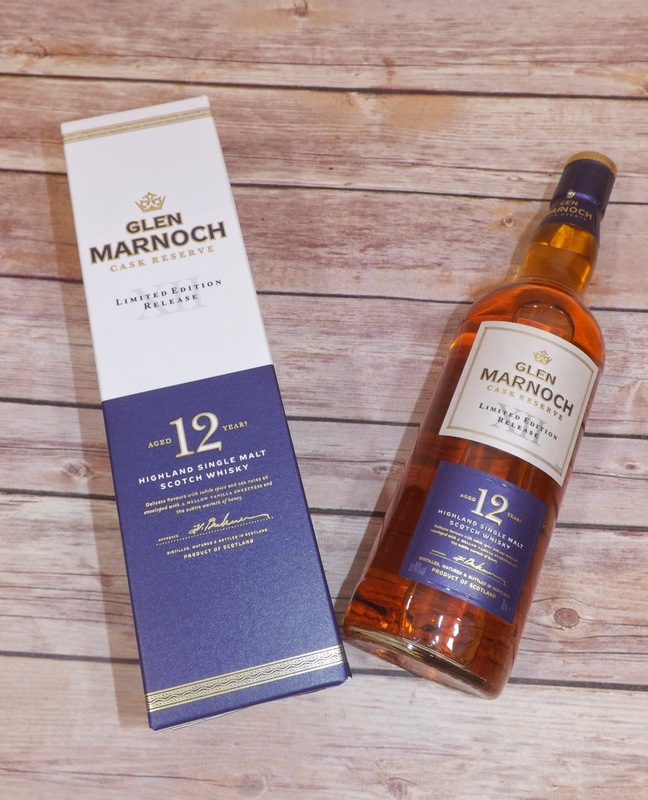 These days, whiskey can be pretty expensive so I was thrilled when we were recently sent a bottle of Aldi's Glen Marnoch 12 year aged whiskey to try. Personally I cannot drink whiskey at all, but my Dad assured me that he absolutely could not tell the difference between this and a bottle of Bells which he usually buys....the only difference could be seen on my bank balance as the Aldi version is a LOT cheaper! My own tipple is Baileys, but I honestly could not tell the difference between Baileys and Aldi's own Irish cream liquer. The rose wine was also absolutely lovely. Aldi is not somewhere I would usually think of visiting when buying in alcohol for events or dinner parties but I will certainly be making sure I visit there in future! For a more practical gift idea UNDER a tenner, how about the GripGo? 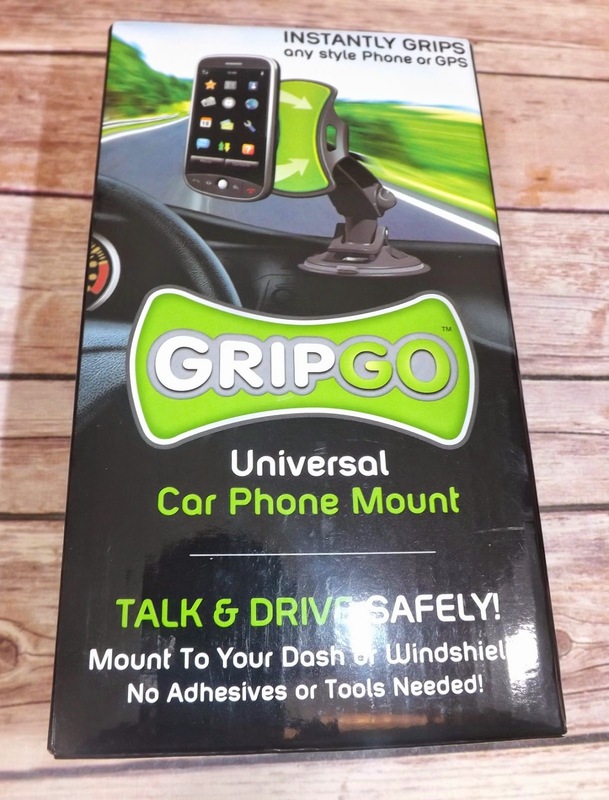 This is such a useful little gadget - you affix the suction cup to your dash or windshield, and the super sticky grip pad holds your phone or GPS in place for the duration of your journey...You can re-use again and again, and if the pad becomes a bit tacky you simply rinse and its good to go again! The 360 degree pivot makes it so easy to position comfortably for perfect and safe viewing - this is such a simple device but so very handy to have. 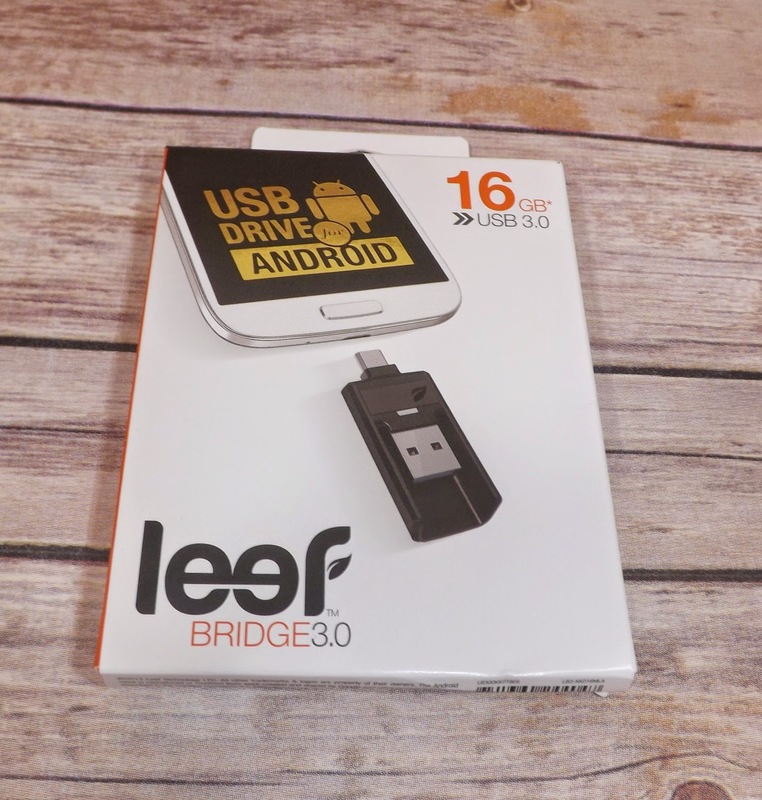 The Leef Bridge 3.0 is the ideal gift for any tech-minded Dad this Fathers Day. This is the first USB flash drive for moving pictures, movies and documents from Android smartphones and tablets to Windows PCs and MACs. Before I was introduced to this product, if ever I took photos or movies on Jon's android tablet I would need to email the files to myself for editing on the PC...this could be such a long, drawn out and infuriating process....this nifty little gadget has made the task so much easier and faster. Available in 16GB, 32GB and 64GB and can be purchased from Phones4U. The Fitbit Zip Wireless Activity Tracker is is a great gift idea for Dads who are keen on health & fitness, or simply trying to get more active. 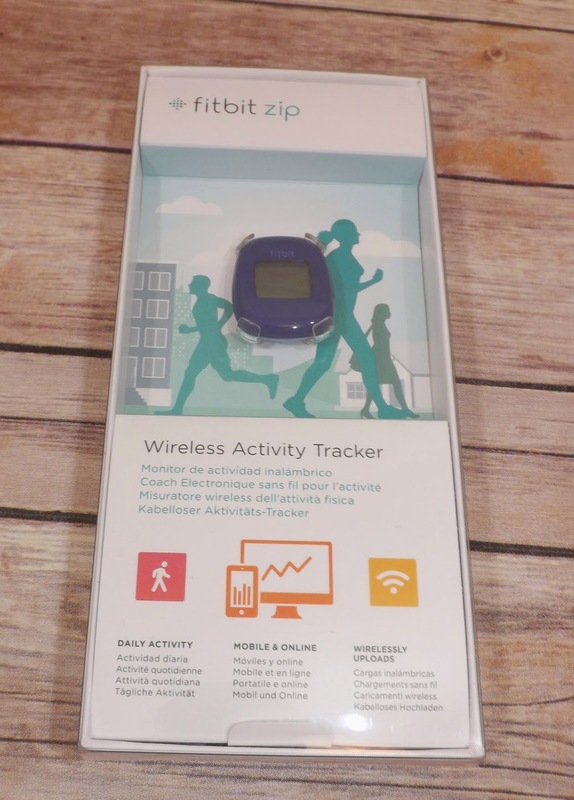 This fitness tracking dongle device allows you to monitor your activity in various ways - including steps taken, calories burned, distance and so on. The Fitbit Zip is discreet and easy to attach to your clothes, and is available in a choice of 4 attractive colours. You can then upload your info to the computer onto your Fitbit fitness tracker to see how you've done each day! 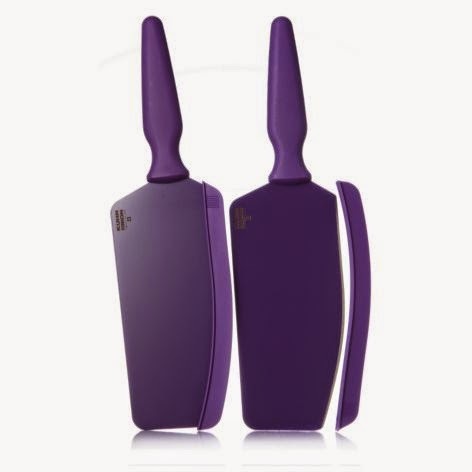 For a Dad who's a whizz in the kitchen, the Kuhn Rikon Set Of 2 Cut, Scoop & Scrape Knives make a great choice! The super sharp blades cut through veggies with ease, and the dull edge can be used to scoop or scrape from a chopping board to pan. The funky look and colours are great, any budding Jamie Oliver would be thrilled with these! A perfect gift for any I-Dad this year would be the brilliant I-pad lap Desk. 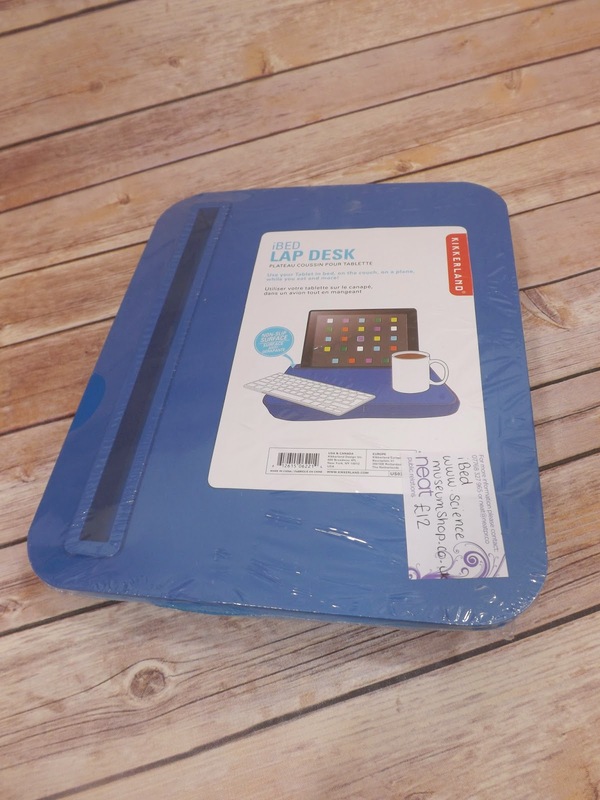 A ingeniously simple lap tray that any I-Pad fanatic quite simply needs in their life! The laptray is a comfortable little tray which has plenty of room for a cup of tea or snacks, and allows your I-Pad to rest perfectly in the little slot provided....leaving your hands free! Such a simple idea but an amazing gift! He'll wonder how he ever got by without it! Of course some men never quite stop being little boys at heart, and wouldn't it be nice to indulge that side of him on Fathers Day? Jon has always mentioned how he loves remote controlled toys and has lusted after a remote controlled helicopter for years! 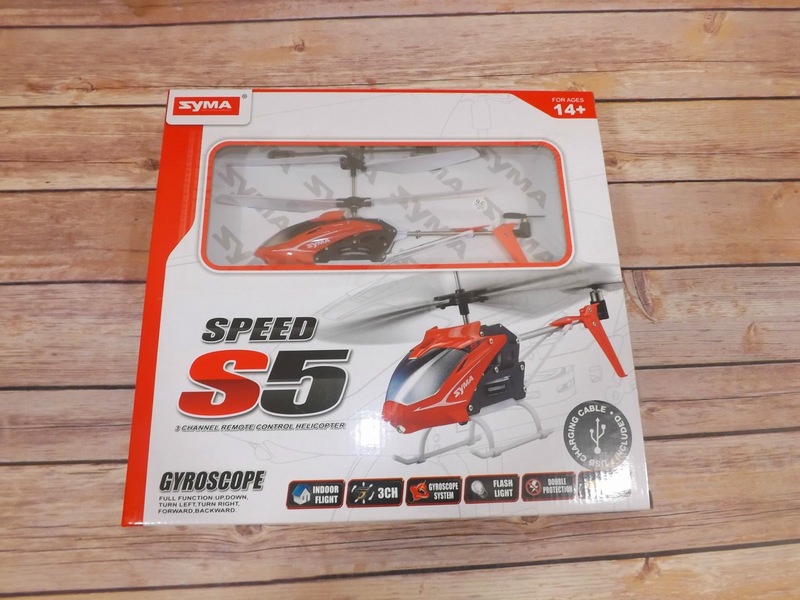 To see him playing with the Syma S5 Helipcopter with Tyne has been ever so sweet! The helicopter can fly for an impressive 50 minutes and handles impressively with the 3 Channel IR control. The helicopter is lightweight and durable, perfect for indoor flying! I think this is an ideal gift for a big kid at heart, and a real bargain for just £20.00! Step away from the usual extra large blocks of milk chocolate and go for something to really celebrate the occasion. Something like Godiva's Signature Truffles. I am a big chocolate lover, but I had never previously tried Godiva although I had of course heard the name a lot. I can honestly say I have been converted - These truffles are to die for. Each & every one was melt in your mouth delicious, and I could not choose a favourite. And finally, the one thing you don't want to forget this year....the card! I always like to go for personalised on these sorts of occasions, and I was recently given the chance to try out the services of The Dogs Doodah's. The website ran so quickly and efficiently, I was instantly impressed. There were lots of lovely designs to choose from - from humorous, to cute. 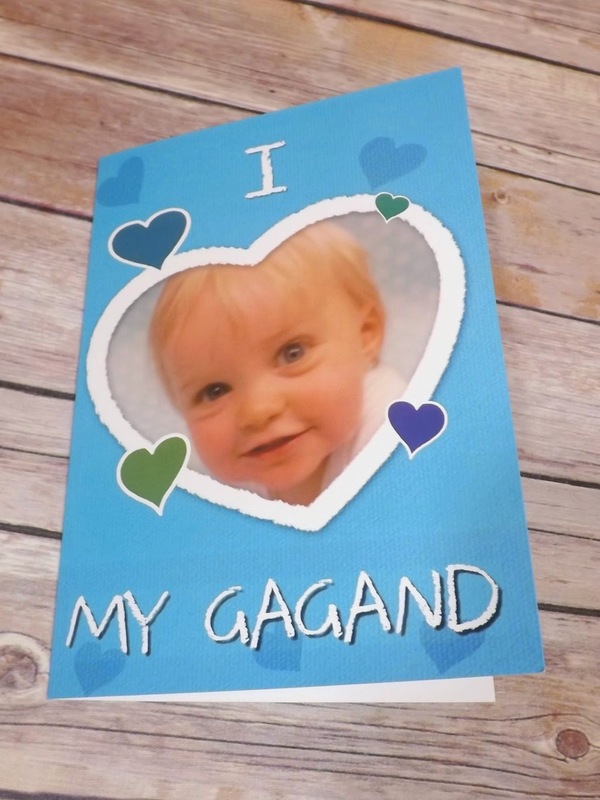 I chose a sweet photo upload card for Tyne's Grandad (or Gagand as he calls him!) - I often find that these sites can become very slow to load when photos are involved, but this took only moments! I was able to zoom in on the photo and edit the text as I wanted to. I was sent an extra envelope as I chose to have the card delivered to myself rather than the recipient, and the card arrived the very next day despite me not opting for next day delivery! I wouldn't hesitate to use this site again. Beerhawk are a beer subscription service who deliver top quality beers & ales from around the world on a monthly basis. This makes an absolute dream of a gift for any beer enthusiast. The 10 bottle selection I tried out was extremely impressive and would make an ideal treat for a beer lover this Fathers Day...the bottles themselves were interesting enough, with various quirky names and flavours on offer (the cherry flavoured beer was my favourite!) from literally across the globe. So what will you be splashing out on for Fathers Day this year? As always, I'd love to hear from you! Some fab gift ideas - I've not even thought about what to get my dad or Nathan yet. Eek. So many great ideas for Fathers Day!